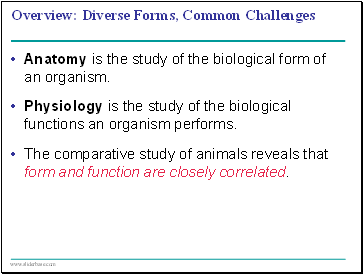 Anatomy is the study of the biological form of an organism. 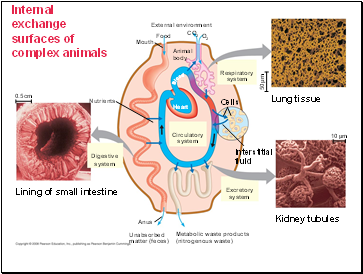 Physiology is the study of the biological functions an organism performs. The comparative study of animals reveals that form and function are closely correlated. 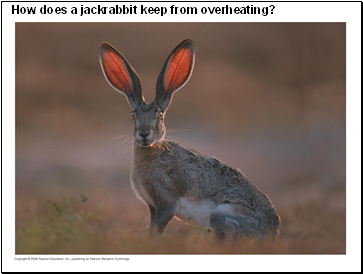 How does a jackrabbit keep from overheating? Size and shape affect the way an animal interacts with its environment. 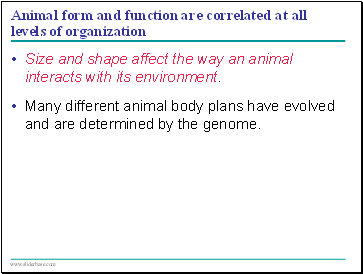 Many different animal body plans have evolved and are determined by the genome. The ability to perform certain actions depends on an animal’s shape, size, and environment. 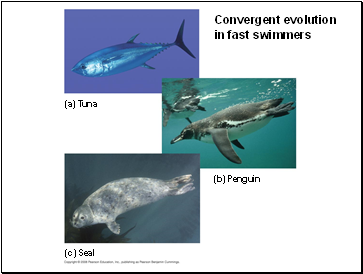 Evolutionary convergence reflects different species’ adaptations to a similar environmental challenge. 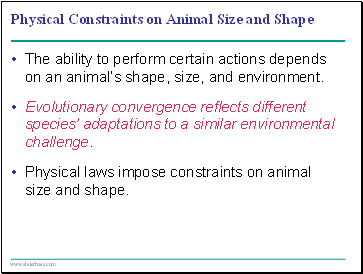 Physical laws impose constraints on animal size and shape. An animal’s size and shape directly affect how it exchanges energy and materials with its surroundings. 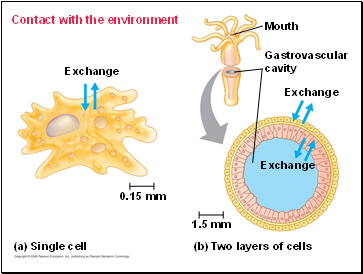 Exchange occurs as substances dissolved in the aqueous medium diffuse and are transported across the cells’ plasma membranes. 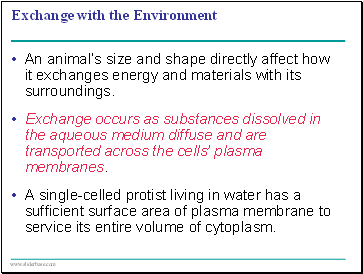 A single-celled protist living in water has a sufficient surface area of plasma membrane to service its entire volume of cytoplasm. 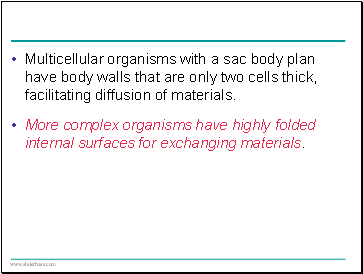 Multicellular organisms with a sac body plan have body walls that are only two cells thick, facilitating diffusion of materials. More complex organisms have highly folded internal surfaces for exchanging materials.